A graph is a simple mathematical object that is useful for studying connections between absolutely anything! Graphs can help us study everything from the internet to transportation networks, and from ecological systems to groups of friends. Wherever things are connected or related to each other, graph theory is there. 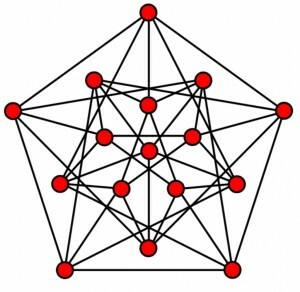 The programs offered in graph theory offer different introductions to the subject, highlighting the intuitive and creative problem solving that makes graph theory so much fun. Working in small groups, students learn the many shades of graph coloring problems, including how to use graphs to color a map so that no two regions that share a border have the same color. More advanced problems with graph coloring are examined, including some open problems.